Can you afford to make an FMLA mistake? Talent is hard to find and difficult to replace. When it comes to FMLA administration, it isn’t enough to just get it right. During this seminar, we discussed processes and procedures and how they can be delivered in a way that is consistent with your culture and keeps your employees focused on a successful return back to work. This event was approved for 1 PDC credit for SHRM certification holders. Wellness Update With Dr. Pat! Tired of health fairs, biggest loser contests, and lackluster participation? Wellness with Dr. Pat provided participants with solutions to recharge their battery and re-energize wellness efforts. BKS founding partner, Laura Sherman, and BKS Director of Risk Engineering, Pat Kerby, led an insightful discussion on preparation tactics for this upcoming storm season. WC 101 – Explore the ins and outs of workers’ compensation. This session will explore the roles of each stakeholder. Basics of Occupational Injuries and Treatment – We will discuss some of the most common injuries and treatment plans to get an injured worker to full duty. Claims Investigating – This session will feature an in-depth discussion on interviewing techniques by a trained investigator. Tales from the Trenches – This Q&A session gives attendees an opportunity to share claims stories and ask those “what if” questions they’ve always wanted to ask. This event is tailored for beginner and intermediate Human Resources and Risk Management professionals. The volume and sophistication of cyber-attacks are dramatically increasing – and high net worth households are prime targets. Today’s criminals use sophisticated means to capture personal information and use it to steal people’s money. Rubica is the first and only cyber security service that is as secure as a multi-national bank, but is designed to work for individuals and companies. Presented by PURE and Baldwin Krystyn Sherman Partners. As we move into 2018 and beyond, what can we expect from the current Administration, Congress, and federal regulatory agencies? How will litigation trends, including the #MeToo wave of sexual harassment claims over the past year, impact HR professionals in ‘18? This session explored how agencies, such as the National Labor Relations Board, the Department of Labor, and the Equal Employment Opportunity Commission intend to carry out their plans through rule making and regulations this year. Presented by Fisher & Phillips LLP and Baldwin Krystyn Sherman Partners. Receive 1 hour CE for SHRM and HCRI. During this educational seminar the AIG Private Client Smart Build Team who have consulted with the nation’s largest custom residences and estates, discussed Innovative Residential Smart Build Practices. Presented by AIG and Baldwin Krystyn Sherman Partners. In this webinar, we discussed the top 10 reasons injured workers seek counsel, what employers can do to mitigate the desire for representation, and what to do when a claim becomes litigated. Presented by Baldwin Krystyn Sherman Partners’ Tim Liberty. SHRM certification holders who attend the live webinar will be eligible for 1 PDC. 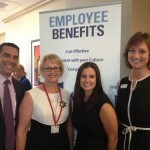 Baldwin Krystyn Sherman attended Paycor’s HR and Compliance Seminar on Thursday, May 11, at Lowry Park Zoo. 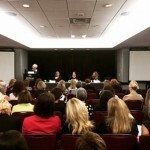 Attendees learned from HR industry experts who provided actionable tips and insights to put into practice right away. 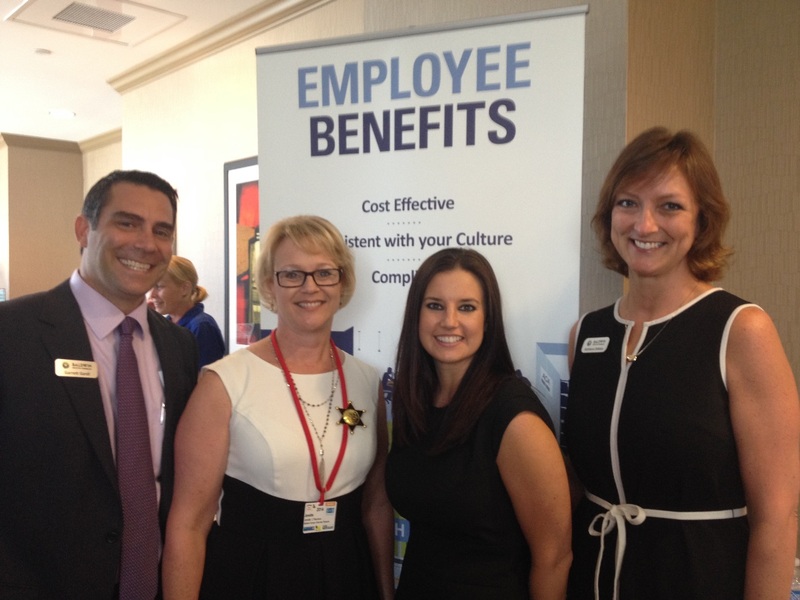 BKS’ Elizabeth Krystyn was a featured speaker in the “Be a Cultural Catalyst to Be a “Best Places to Work” session. The first 24 hours of an insurance claim are the most important. Employers can greatly mitigate the cost of a claim, whether it be workers’ compensation, general liability, auto or property by following industry best practices for reporting and investigating. 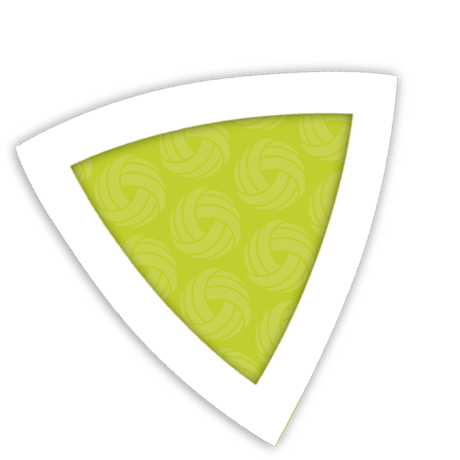 In this educational webinar, we will discuss these best practices along with other tips. The live webinar was approved for continuing education credit for SHRM certification holders. Self-funded benefit plans have become increasingly popular as organizations continue to combat rising healthcare costs. However, a main concern of transitioning to a self-funded arrangement is the potential for cost volatility. As an alternative, employee benefit captive arrangements have become an ideal alternative for mid-sized employers. Captives bring together like-minded companies with a focus on improving employees’ health while controlling costs and providing solutions that lessen financial risk and instability. This webinar reviewed the mechanics of the captive arrangements, and discussed how it can be a viable option for many employers to consider. In the November election, Florida voters approved Amendment 2 to allow for the expansion of medical marijuana. We held a well-attended educational webinar on Thursday, January 12th where we discussed the impact on employers from the labor law and Workers’ Compensation perspective. This live webinar presentation approved for continuing education credits for SHRM and HRCI certification holders. Gregory Hearing, Thompson, Sizemore, Gonzalez & Hearing, P.A. 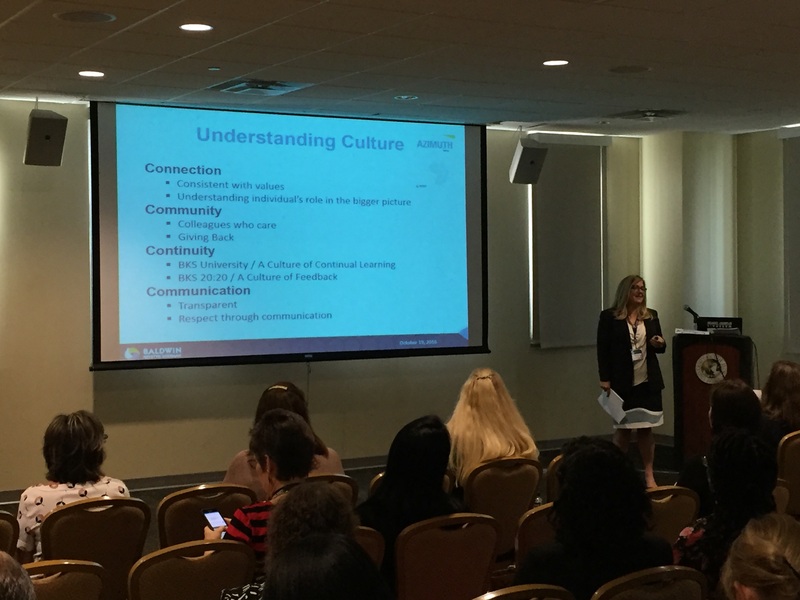 BKS-Partners’ Elizabeth Krystyn,Foundingg Parnter, led a morning breakout session, Be a Cultural Catalyst to Be a Best Places to Work, at the 2016 HR Tampa Conference and Expo. She discussed how you can be a cultural catalyst while still performing your job. The class was approved for one CE credit. BKS-Partners’ Dr. Pat Fuller, Director of Wellness Engineering, joined a group of panelist to discuss the topic “Staying Relevant/Growing Bolder,” at the 2016 Women in Leadership and Philanthropy Fall Symposium. Panelists discussed what it means to be relevant, staying relevant and growing bolder, and strategies on how to personally grow. The panel focused on helping participants to walk away with ideas on how to ensure they never lose sight on what has meaning and purpose to them, and staying relevant and authentic throughout their lives. You can find more information regarding the event, here. BKS-Partners and Thompson, Sizemore, Gonzalez & Hearing, discussed the updated DOL Overtime Regulations in this educational webinar. Attendees were given an overview of the DOL overtime changes and their effect on employers, as well as practical tips for preparing for the change. BKS-Partners provided insights on how best to prepare for the 2016 hurricane season. Attendees discussed tips on how to best protect their families in a session with Laura Sherman, followed by a session with Patrick Kerby discussing how best to protect your businesses. For more information regarding Hurricane safety, you can read our Preparedness Guide. BKS-Partners and Discovery Benefits discussed the fundamentals associated with federal COBRA requirements for employers. Attendees were also reminded of the required components of COBRA administration, regulatory nuances and were given practical tips for staying in compliance. BKS-Partners and Liazon discussed Private Exchanges which allow employers to effectively manage data, educate consumers and offer more benefits options to employees. In this interactive seminar, attendees discussed how their employees can become smarter healthcare consumers, options to give employees more choices, and how to minimize the impact of cost containment on employees. 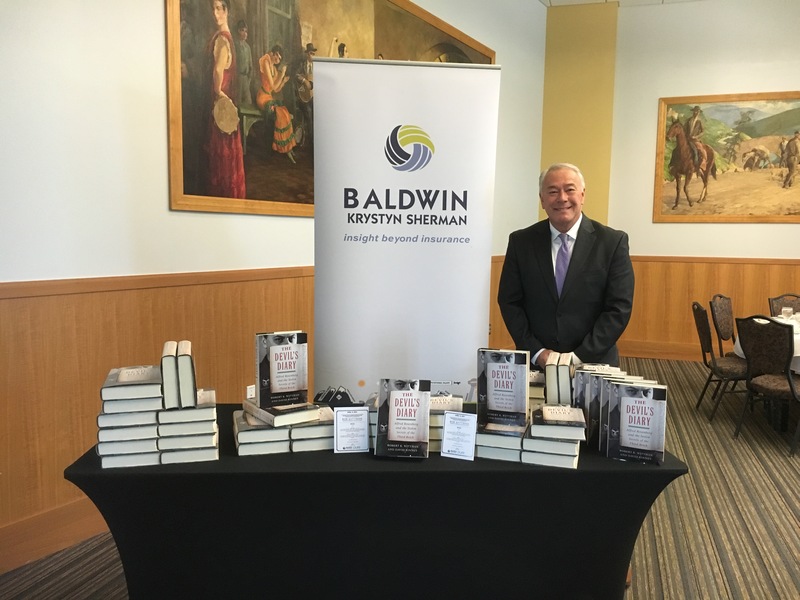 In conjunction with the Florida Holocaust Museum, Baldwin Krystyn Sherman Partners and PURE Insurance, hosted a luncheon with New York Times bestselling author, Bob Wittman. BKS-Partners welcomed colleagues, clients and centers of influence to the luncheon, including Florida Holocaust Museum’s Executive Director, Elizabeth Gelman. Bob Wittman, author of Priceless and The Devil’s Diary, introduced his brand new novel, while also discussing the art crime industry. Wittman is the former Senior Investigator and Founder of the FBI’s National Art Crime Team. His novels chronicle some of his experiences in the FBI, while also capturing the importance of protecting artwork. His newest novel, The Devil’s Diary, highlights the dramatic recovery of the long-lost private diary of the Nazi Party’s chief ideologue. Guests were offered a signed copy of The Devil’s Diary at the close of the event. 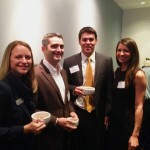 BKS-Partners and PURE Insurance were pleased to host the event in both Tampa and Sarasota. 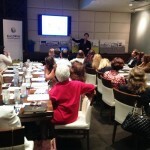 BKS-Partners and AIG hosted a lunch and lecture on the value of jewelry. Guests learned about the importance of protecting jewelry to preserve long-term value. This course reviewed the physical and financial exposures that can detrimentally affect the value of jewelry. In addition, the presentation covered some of the cornerstones of preserving jewelry assets –appraisals, insurance, and risk management. BKS-Partners and AIG hosted a Happy Hour and educational CE lecture on Preserving Liquide Assets. BKS-Partners and guests reviewed the key components of investment wine’s value – grapes, key regions and marketplace for investment grade wines. They also discussed the international marketplace and collector pool in realtion to the impact on global supply and demand and the rise of wine fraud. BKS-Partners partnered with Thompson, Sizemore, Gonzalez, and Hearing to present an informational webinar on paid parental leave policies. Guests gained practical advice on the pros and cons of adding a parental leave policy to their benefits package, and a refresher on the legal regulations surrounding expectant parents in the workplace such as the Pregnancy Discrimination Act. American eating traditions are virtually non-existent. They disappeared somewhere in the melting pot and resurfaced as eating in the car, eating in front of television, and eating at the desk. Participants learned to recognize some of the uniquely American eating habits that contribute to obesity. 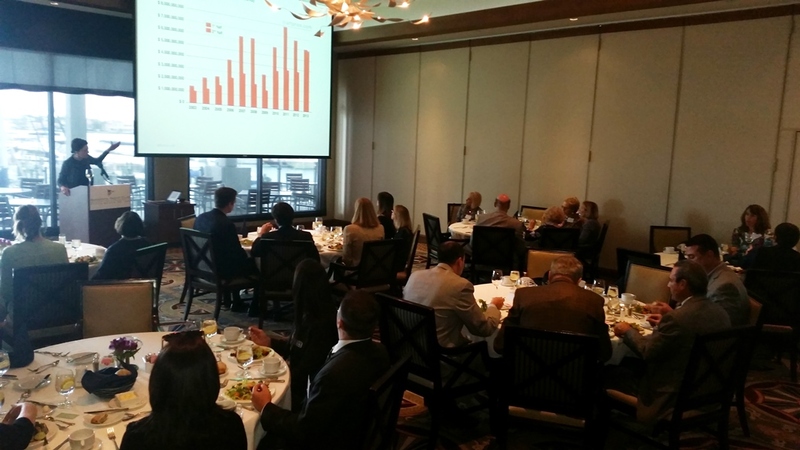 BKS-Partners, AIG and BNY Mellon hosted an intimate gathering and educational event at Ocean Prime in Tampa. Guests gained practical advice on CPR training, safety and security counsel for themselves and their families both at home and traveling, including personal security, kidnapping and carjacking. 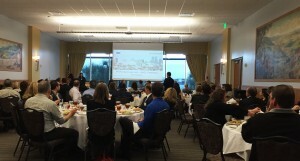 BKS-Partners and AIG hosted an educational lunch at the Tampa Bay History Center. Guests gained practical advice on safety and security counsel, including personal security, kidnapping and carjacking. Joe Carrera covered specific actions you can take to reduce your exposure and help safeguard your loved ones at home, in the office or while traveling. BKS-Partners and AIG hosted a lunch and lecture at the Sarasota Yacht Club. Guests learned about the implication of the trust and estate laws, the globalization of the art market, and art market trends. 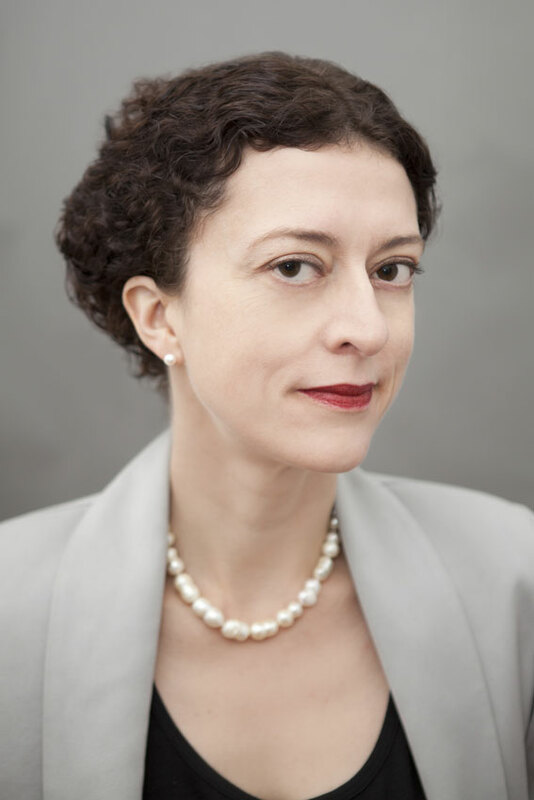 Katja addressed financial exposures that can detrimentally affect the value of an art collection, and therefore its “asset value.” In addition, the presentation covered some of the cornerstones of preserving art assets –appraisals, insurance, and risk management – to ensure the long-term value of one’s art assets. 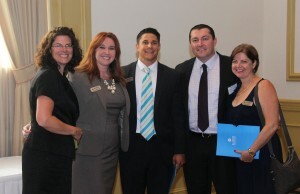 BKS-Partners and AIG hosted an educational happy hour at Michael’s on East in Sarasota, FL. This presentation reviewed the key components of investment wine’s value – the grapes, key regions and marketplace for investment grade wines. Although the wine auction market peaked in 2007, prices for the top one hundred most expensive bottles have remained solid. Also, the burgeoning high end wine marketplace in Hong Kong has impacts on the American wine collector. The international marketplace and collector pool was discussed in relation to the impact on global supply and demand as well as the corresponding rise of wine fraud. In addition, we will address the unique perils affecting the value and condition of wine and the cornerstones of preserving these “liquid assets” through inventory management, appropriate storage and risk management. This class was approved for one hour of continuing education for 2-20, CFP, CPA and CLEs. 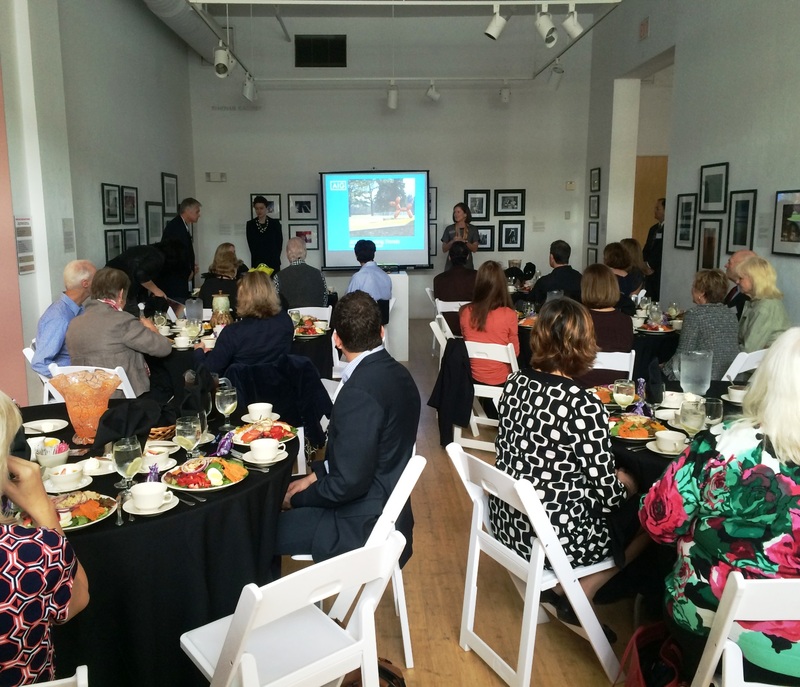 BKS-Partners, RBC Wealth Management and AIG hosted an educational lunch at the Morean Arts Center. 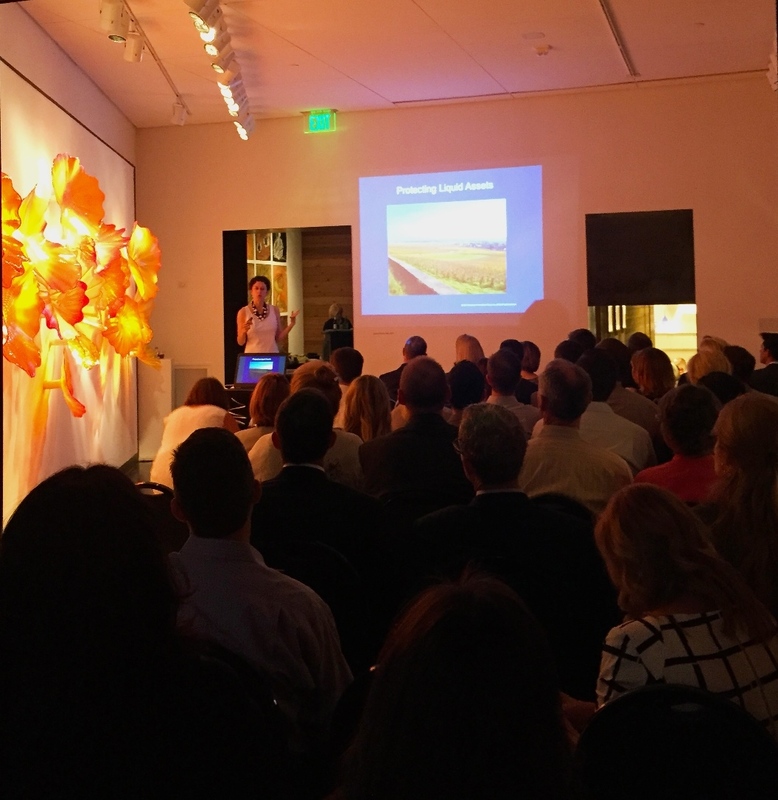 BKS-Partners and AIG hosted a happy hour and educational CE lecture at the Chihuly Collection presented by the Morean Arts Center. Guests learned about the key components of investment wine’s value – the grapes, key regions and marketplace for investment grade wines. The presentation also addressed the unique perils affecting the value and condition of wine and the cornerstones of preserving these “liquid assets” through inventory management, appropriate storage and risk management. Let go of Type A Holiday Stereotypes—the decorating, the cards, the gifts. Spend time connecting with loved ones. Be grateful and kind to one another. Be present. The rest can wait. BKS-Partners spoke to the attendees of Lee County Human Resources Chapter. Dr. Patricia Fuller broadened the definition of wellness, how it can be achieved and how a business can reap the benefits of a workplace wellness program. Over the last 4 years, Healthcare Reform has required many organizations to devote all their attention on ACA compliance. As a result, it was easy to overlook the “other,” yet equally important, responsibilities of an employer and as a business in the electronic age. Now that we have a better understanding of how ACA will impact us as individuals and as employers, it is the perfect opportunity to reevaluate your organization’s readiness for such things as a security breach and the myriad of government regulations beyond ACA. BKS spoke to the attendees of the 13rd Annual HR Tri-County Conferen ce. 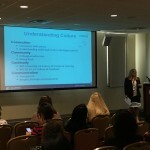 The conference had over 200 registrants from the three Southwest Florida HR Chapters. Janette’s session started out with a quiz on myths about healthcare reform in which she incorporated updates and transitional legislation. BKS and AIG hosted an educational luncheon for private risk clients on the best ways to ensure the long-term value of one’s art assets. Topics covered included the physical and financial exposures that can detrimentally affect the value of an art collection and preservation through appraisals, insurance and risk management. BKS and AIG hosted a breakfast, educational lecture and CE course on the unique perils affecting the value and condition of wine and the cornerstones of preserving these “liquid assets” through inventory management, appropriate storage and risk management. The presentation covered the key components of investment wine’s value-the grapes, key regions and marketplace for investment grade wines. The international marketplace and collector pool were discussed in relation to the impact on global supply and demand. Over 100 employers, employees and HR professionals attended the BKS Healthcare Reform Seminar in Tampa to learn how healthcare reform’s changing rules and regulations will affect their bottom line. Attendees received information on the impact of the Marketplace | Exchanges, including what has been delayed, what employers are still responsible for implementing in 2014, and how the variable hour rules in 2015 will impact all employers with more than 50 full-time employees. 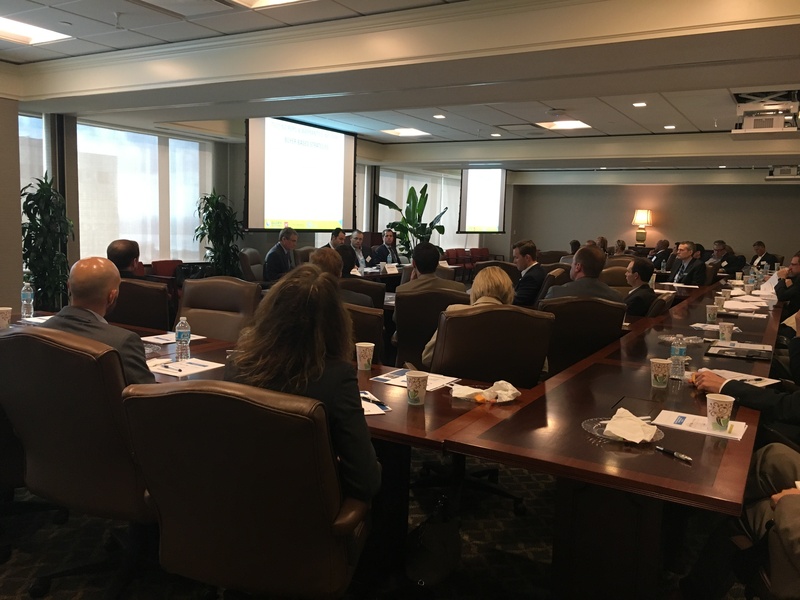 The speakers discussed how insurance companies are changing plans, underwriting and pricing for all size groups in order to satisfy their portion of the law. They also explored the feasibility of alternative strategies such as Private Exchanges and Self-Funding. For the individuals who are seeking coverage through the Marketplace | Exchange, information was provided on what options will be available as well as the mechanics of the employer penalty and the individual subsidy. This informative seminar allowed attendees to ask questions and finalize their compliance priorities for 2015 and beyond. The BKS Flood Insurance Seminar was held for realtors, contractors, architects, wealth advisors, lenders, mortgage brokers and property managers. Over 125 professionals attended to hear about the details on the Biggert-Waters Flood Insurance Reform Act (BW-12) and how it will affect flood pricing for their clients. Information was given on what can be done to prepare, lessons learned from Tropical Storm Debby and tips to improve the long-term insurability and pricing of new construction. Dozens of employers attended their choice of two BKS/Villages Insurance Partners’ Exchange Workshops to learn how to complete the required notices and to understand the relevant talking points to share with employees. Attendees received an understanding of the obligation to get employees the appropriate information regarding the Exchange. In addition, the workshop included an overview of the Federal Health Insurance Marketplace. Participants received Model Notices, sample cover letters in English and Spanish as well as detailed employer and employee guides to help everyone understand the medical coverage purchasing landscape going forward. Nearly 200 individuals representing employers of all sizes attended the BKS Healthcare Reform Seminar in Naples for an update on ACA, effective dates for specific provisions as well as sample pay vs. play analysis and the expected Federal Exchange. Attendees received the latest details on safe harbor regulations when classifying full-time employees as well as how to determine affordability and how to meet the requirements of essential benefits. Participants received compliance guides appropriate for their number of employees and sample plan designs at various metal levels. Over 175 individuals representing employers of all sizes attended the BKS Healthcare Reform Seminar in Tampa for an update on ACA, effective dates for specific provisions as well as sample pay vs. play analysis and the expected Federal Exchange. BKS held an educational discussion and breakfast on how to protect your business against a costly data breach or business-halting network compromise. The panel discussion included industry experts from federal law enforcement, information technology and a leading international insurer. Several important cyber liability topics were covered, including the profile of a cyber criminal, anatomy of a data breach or network compromise, response planning, insurance protection for cyber crime events, lessons learned and case studies. BKS and Chubb Group of Insurance Companies invited guests to a ladies luncheon and conversation at the Tampa Museum of Art. Guests were encouraged to explore the galleries and learn more about today’s art and antique markets. Featured speakers included Chris Jussel, the original host of Antiques Roadshow and Anita Heriot, President of the Pall Mall Art Advisors. 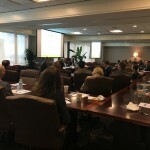 BKS hosted a panel discussion breakfast and CE course on how to better protect clients against potential lawsuits.